Barcelona was founded over two thousand years go on the Mediterranean coast in the north-east of the Iberian Peninsula, between two rivers, a short distance from France. Since then, it has been the traditional gateway to Spain through which a number of cultures have entered to enrich the city. You can follow the traces of this history and diversity as you walk through the city: through the Gothic Quarter, built over the Roman ruins; through the Eixample district with its Catalan art-nouveau, or modernista, buildings, which is a showcase for Gaudí’s dazzling architecture, and is laid out on an ordered and rational grid pattern... This diversity and harmony also blossom in the personality of the enterprising and hard-working people of Barcelona, who have a real love of life, are public-spirited and love culture. 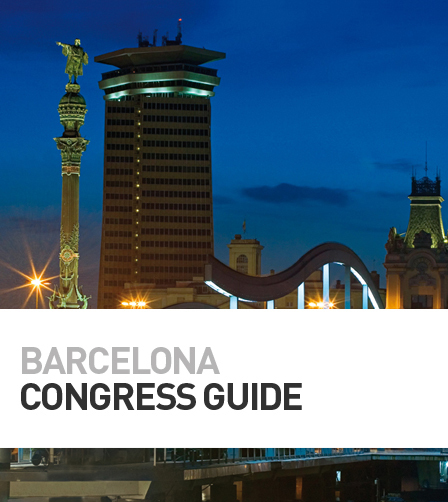 All these traits have made Barcelona a first-class tourist destination, and the ideal place for meetings and congresses. This open, welcoming city shed its skin and opened to the sea to host the 1992 Olympic Games. It completed its seafront with the new Forum zone, which opened in 2004, and is the site of some of Europe’s largest hotel and congress facilities. It is located in the heart of an area dedicated to talent and innovation – the technology district 22@ –, located around the new Diagonal area. In just over two decades, Barcelona has completely transformed its infrastructures and facilities showing a dynamic and pioneering spirit, which is perfectly visible in its new urban and architectural layout. The city continues to enjoy spring-like climatic conditions, and encourages its visitors to share in its own particularly attractive lifestyle which combines the gentleness of the Mediterranean shores with the drive and capacity for innovation of a young society. This is a unique combination on the European continent, in a privileged geographical enclave, whose inquiring and dependable population already enjoy this 21st-century Mediterranean metropolis.